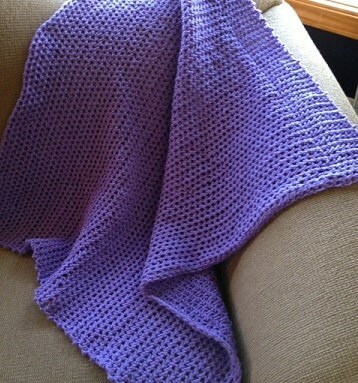 This light-weight stroller blanket is knit as a flat panel on a 3/4" gauge serenity loom using a mock crochet stitch. The stitch is completely explained in the pattern. 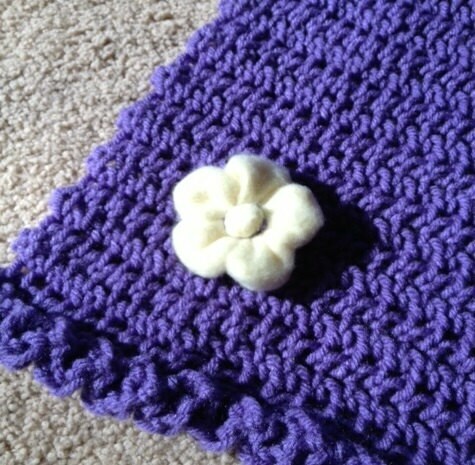 The mock crochet stitch makes a pretty design and adds a nice scalloped edging along the sides of the blanket. 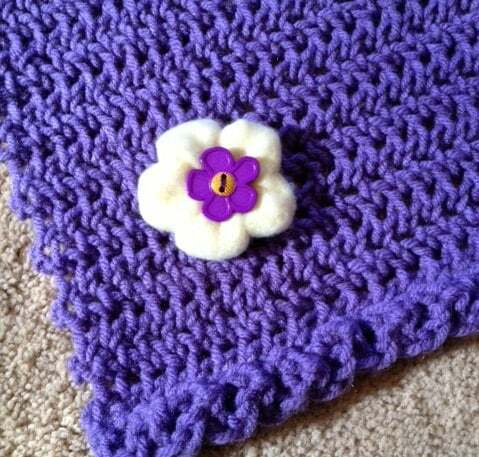 You can leave the cast on and cast off straight edges as they are, or you can add the ruffled edging that is detailed in this pattern as well. 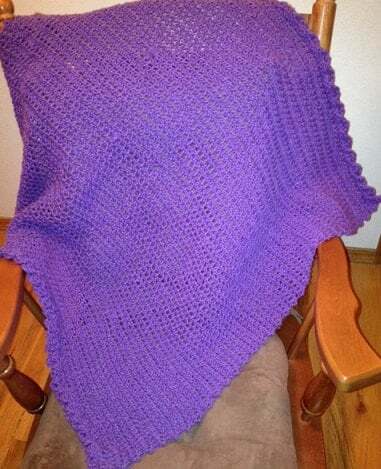 This stroller blanket can be knit with any soft worsted weight yarn.